Jagers Jewellery - We specialize in jewellery design, diamond gems screening, stones matching, jewellery making, polishing, inlay, plating, etc. 61, Jalan Dedap 7, Taman Johor Jaya, 81100 Johor Bahru, Johor, Malaysia. 6A & 6B, First Floor. Block G, Plaza Sentosa, 80150 Johor Bahru, Johor, Malaysia. Ho Shin has been engaged in the jewellery field for 46 years (1973-2019). 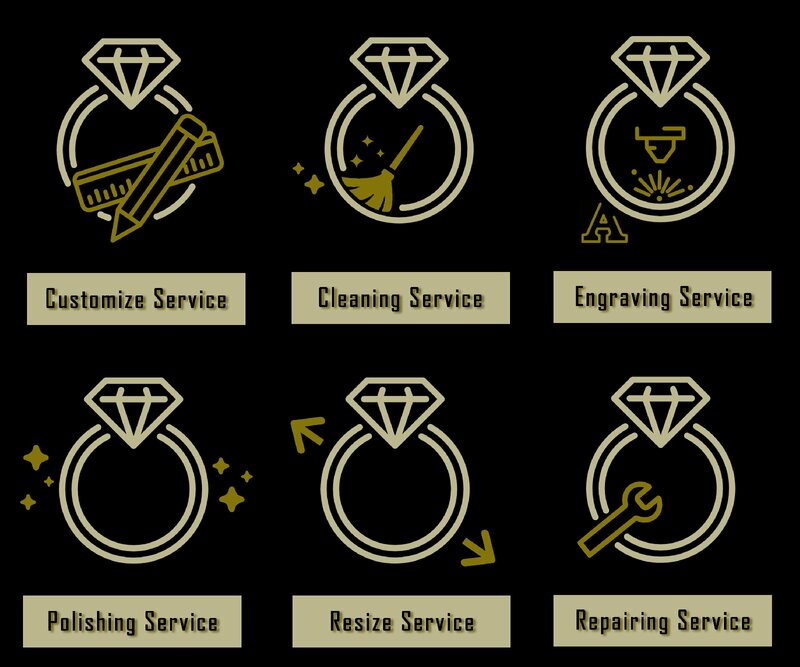 The jewellery business is made up of: jewellery design, diamond gems screening, stones matching, jewellery making, polishing, inlay, plating, etc. in order to create the perfect jewellery. It also requires more advanced technology such as computer engraving, 3D computer laser manufacturing, laser welding, laser cutting, laser engraving and other equipment and technology to make the product more refined. Ho Shin had mastered its skill after 46 years of hard work in creating precious diamond gems and jewellery for merchant. Today, we also provide our jewellery services for customer directly. Our previous jewellery design is not available in this website, now we are more focusing on simple and casual jewellery design. Apart from that, we also provide jewellery custom made services. Welcome to contact us for any enquiry. Ho Shin +6013-719 7296, +6014-616 2277��Hui Lin +6012-782 9838, 07-3311 117(10-6.30pm)��07-358 7817. Jagers Jewellery Updated Company Profile — Topbar Banner. Jagers Jewellery Updated Company Profile — Home Banner.